The Canadian Kennel Club (CKC), Canada’s primary registry for purebred dogs, is proud to present the top 10 CKC-registered dogs for 2017. This year, we are excited to share that a new breed has made its way into the CKC top 10. 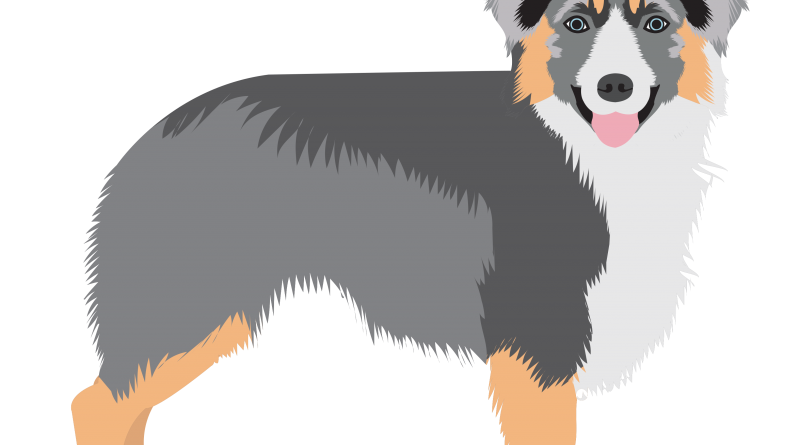 After a steady climb, the Australian Shepherd makes its exciting debut at the number nine spot, bumping the plucky Yorkshire Terrier from the CKC top 10. This is the first time the Australian Shepherd has made the CKC top 10 most popular dogs since it was first registered with CKC in 1991. This high-spirited herding breed is a new favourite across the country, with dog owners in Toronto and Calgary owning the most Aussies. “The Aussie can do it all!” says Shawna Wiebe, President of the Canadian National Australian Shepherd Association (CNASA). “They are a very intelligent, athletic dog in a moderate package. They can move from the herding arena, to the agility ring, to the rally ring, to the Frisbee field, with great ease.” Wiebe adds that Aussies are also ideal for active families who are looking for a dog to keep up with them and do best in a home that is committed to socializing and training them. To ensure vital health screening has been done, the CNASA reminds puppy buyers to carefully research breeders and ask if their dogs have hip, elbow, and eye clearances from the Orthopaedic Foundation for Animals. After all, a healthy puppy is a happy puppy. Once again, the family-friendly Labrador Retriever shines as Canada’s most popular dog—holding top rank since 1995! For the fifth year in a row, the dependable, utilitarian German Shepherd Dog ranks second place and the trusted Golden Retriever holds strong in third. Not surprisingly, the talented and versatile Poodle has held the fourth spot since 2005 and the Bernese Mountain Dog, with its striking appearance and charming personality, has been a CKC top 10 favourite for the past decade. Larger breeds may lead the pack in this year’s CKC top 10, but the medium and smaller breeds continue to make their mark. The mighty Bulldog makes a grand reappearance to the CKC top 10 after a nine-year hiatus, unseating the intelligent and affectionate Miniature Schnauzer. Popular with urbanites, the fun-loving French Bulldog holds steady in the sixth spot, with the lively and smart Havanese following closely in seventh spot. Like smaller lapdogs, many larger breeds can also make great urban pets, provided they receive appropriate exercise based on their energy level. For information and support in helping you find a dog that’s right for you, visit ckc.ca. To find your new best friend, be sure to check out available purebred puppies from CKC member breeders at thepuppylist.ca.